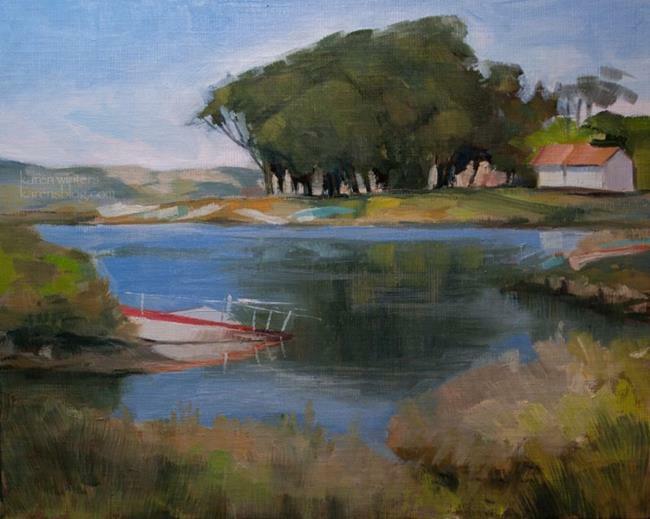 I painted this one morning in March as the tide came in to Cuesta Cove. Small boats were all around the sides of the inlet. The water was calm enough at this point to give me good reflections in the water.